My nostalgic stories about No. 154 Jalan Ngee Heng, never fails to elicit some exciting responses from readers who are connecting with My Johor Stories. Last June, I received a comment from a reader based in San Francisco, who said his family lived at No. 160 Jalan Ngee Heng before they moved to Jalan Sentosa in Larkin. He makes an annual trip back to Johor Baru to visit his mother and siblings and hopes to meet me when he’s back here. Later I discovered that he used to live on the main road, Jalan Dato’ Jaafar, in Larkin Gardens before they moved to Malacca. But his childhood memories of Jalan Ngee Heng, before they moved to Larkin, included (to him) the best kway teow soup noodles from a pushcart hawker who plied his trade down Jalan Ngee Heng all the way to the pasak-kia or food court at Jalan Ungku Puan. He said when his parents were staying in Larkin, he used to buy takeaway kway teow soup for breakfast whenever he visited them and lamented that it used to be just RM4 per pack then. He was even aware that this noodles business was taken over by the hawker’s son and the business continues in a morning food court in Melodies Gardens! When he told me his mum was known as Nurse Cheah, it all clicked as she was a friend and former colleague of my parents in the Johor Baru General Hospital. He said she was attached to the Maternal & Child Health Unit of the hospital and her team went to primary schools for screening tests and BCG vaccinations. I can never forget her friendly and chirpy image, dressed in her crisp uniform and how she used to wear her long hair woven in two braids and wound up into buns at the side of her head – pretty much in the hairstyle sported by Princess Leia! Once I figured out who his mum was, it was rather amusing because that meant that his dad, Uncle William, was my driving instructor! some cafes serve this sweet treat now! He said his father taught both him and his brother to drive and was quite busy with students until he fell ill. He recalls the driving lessons with his dad and commented that the pressure felt like slave driving but it ultimately made him a good driver. So it turns out that Dr K and I obtained our driving skills from the same source – his dad! During our email exchange, I kept my mum updated because his mum and mine were former colleagues. Then my mum, the former midwife, reminded me that when Nurse Cheah was in the maternity ward after delivering her baby by C-section, they had a conversation about naming her newborn son. Since he was born by C-section, my mum had a brainwave and suggested that Cheah name him Caesar! I reminded Dr K about this and he admitted that his childhood name was indeed Caesar and many of his relatives still call him by this name and don’t even remember his Chinese name. It was so interesting how we have connected through our parents! 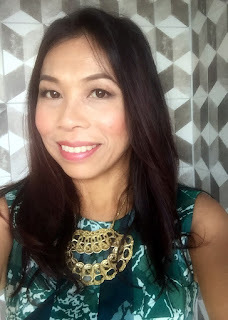 In January, I accepted an invitation for food tasting at a Nyonya restaurant in JB and when I met the proprietress, one of my questions to her was whether she was a nyonya? 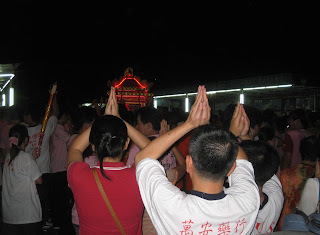 She candidly replied, “No!” She was in fact, Hakka and her grandfather, who used to sell beancurd from a pushcart, lived at Jalan Ngee Heng and his route to down to the pasak-kia at Jalan Ungku Puan was also via Jalan Ngee Heng! I asked her for their address at Jalan Ngee Heng but she didn’t know as it was one of those houses nearer to Jalan Kebun Teh Lama, next to present-day Danga City Mall. One of my childhood memories about living with our grandparents at Jalan Ngee Heng was buying street food from hawkers en route to the food court downtown. I distinctly remember a Chines couple who sold beancurd drinks and dessert from a pushcart which regularly passed by our house. Our Aunty Polly – a fan of street food – often sent us, the children, on errands to stop the hawkers to buy food or snacks from them. 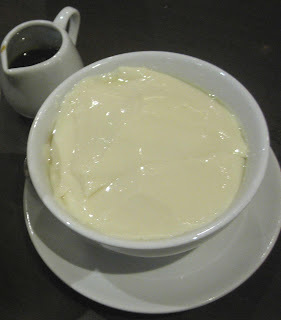 In fact, we were so familiar with the beancurd couple that unknown to them, we gave them a nickname – Beano! “I am an avid reader of your nostalgic JB stories. Being a born-bred Johorean 80s baby, your stories always manage to keep me on tenterhooks, all the way to the last word. Your recent story on the changes that happened to Jalan Ngee Heng, however, tugged my heartstrings on a totally different level. This is because I also have lots of fond memories growing up in my own Ah Kong’s house at 72-C Jalan Ngee Heng. It is on the other side of Danga City Mall, as opposed to 154 Jalan Ngee Heng. Thanks for detailing how Jalan Ngee Heng was like from the 60s to 70s. I can now fill in my own knowledge of Jalan Ngee Heng from the 80s to the present day, creating a nice little moving picture of how Jalan Ngee Heng evolved in the last 50 years. My mum and I had a great mother-and-son night trying to piece out the surroundings of Jalan Ngee Heng last night, using your story as the guide. Jalan Ngee Heng would again take the spotlight, with the annual Chingay happening this Friday. This reminds me of a little tidbit of info that I would like to also share. This JB-born reader who now lives in Brisbane, Australia, went on to describe his memories of JB and the people – our family members – whom he and his parents were acquainted with and his vivid memories of how they used to live at No. 30 Jalan Ngee Heng before moving to Taman Kebun Teh. Among other things, he mentioned that his parents may have attended a couple of weddings in our family and he certainly remembers his parents going across to No. 154 to pay their respects at the passing of Uncle Robert. I remember that sad period in 1970 when uncle – a sportsman and non-smoker – lost the battle to cancer. His funeral wake was held on the badminton court at No. 154. I’m deeply touched by the candid comments and special memories shared by readers who are responding to My Johor Stories, all of which encourages me to share more stories to inform, interest and involve Johor-born people like you! Happy Reading! I woke up this morning with recollections, in vivid clarity, of the series of events that took place that day exactly 13 months ago when dad left us. I have no idea what brought it on but these thoughts have a strange way of just creeping up on me. It occurred to me that if I can feel the loss, my mum would feel it too and probably even more acutely. After all, mum and dad shared a good life together and his departure must have left a wide hole in her heart. While I was a kid, I never thought about my parents as a pair of lovers but I got my first hint about how much my mum and dad were in love when I started looking at old photos in the family albums. As I turned the pages and studied the black-and-white photos, I came across collections taken at various occasions, like family group shots, formal studio poses and at events such as sports meets, weddings and funerals. If I spotted something interesting, I would pause to quiz my parents about who, what, when and why, and they would look at that photo before sharing with me, an interesting anecdote or two to answer my questions. It struck me that photos of my parents snapped during their dating days, portrayed a pair who were so in love. When I saw the photos taken at my parents’ wedding, I noticed that someone was not in any of the photos. I turned the album pages back and forth to check other shots of the event and realized that mum’s eldest brother, Uncle Roland, was not at that special occasion. With a natural curiosity, I asked my parents about this strange discovery. Maybe they did not expect such a query but I distinctly recall that dad remained discreetly silent and it was mum who answered me. Our parents met while they were working at the Johor Baru General Hospital, where mum was trained and qualified as a midwife. Dad, who responded to a newspaper recruitment ad, applied from Ipoh and joined the JBGH to be trained as a Hospital Assistant (HA). During WW2 dad was with the Royal Army Medical Corps, based in Singapore (then part of Malaya). His nature of work was to rescue the wounded. After the bombings, the siren would sound for ceasefire and his medical team was the first line of rescue to reach any wounded soldiers, provide First Aid and rush them to hospitals. 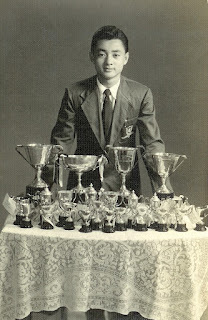 As British occupied Malaya was gaining political and economic stability after the war, dad applied to join JBGH as he had a keen interest in hospital work. He was already familiar with South Malaya so he did not hesitate to move to JB for work. With his previous experience rescuing the wounded during the war, dad took to his new job quite naturally. In those days, the duties of a special grade HA included dressing wounds, diagnosing illnesses and dispensing medicine, a role with responsibilities very much like a doctor. Mum’s older brother, Roland, also joined JBGH to be trained as a hospital assistant. While he was younger than dad and joined a different batch of trainees, he was familiar with what was going on with dad in the hospital, on and off duty hours. In 1948, dad’s batch of trainees graduated as HAs. Dad enjoyed a carefree bachelor lifestyle and was among the popular guys maybe because of his wacky sense of humour, wild charm and unparalleled skills in dancing. At that time, dancing in the nurses’ hostel was a healthy past-time and I was told that nurses would queue up for their turn to dance with dad! There was a GEC gramophone in the hostel to play their favourite dance music by Victor Silvester, Mantovani and Joe Loss from 78 rpm vinyl records. In those days, there was no television or other forms of home entertainment except for the transistor radio. The late Ismail Othman, dad’s fellow HA colleague and good friend, better known as Uncle Nyeh, always tuned into BBC for their favourite Victor Silvester half-hour music request show. Mum and dad, feeding each other! Dad told me that the bachelor boys also enjoyed playing badminton on the court next to the nurses’ hostel and when the tide was high, they would go swimming. They would simply dive into the Johor Straits just across the road from the hospital! These robust young men would swim along the straits from the hospital to the steps in front of the Grand Palace at Istana Gardens and back. Other leisure pursuits in the staff clubhouse at Jalan Datuk Wilson included playing billiards or jam sessions playing their banjo-mandolins. It was then the trend to make their own entertainment and being musically inclined, dad also enjoyed singing while playing his banjo-mandolin. When their bachelor days were over and the dancing shoes hung up for good, Uncle Nyeh and dad stayed in close touch and I remember how our family would visit uncle’s home for Raya. It seems like a long digression but it must be understood that as a bachelor, dad had normal, healthy pursuits and when he met mum, who happens to be a non-dancer, he cared enough to give up for good, one of his dearest pleasures – dancing! But dad’s reputation as Cassanova preceded him and as mum’s older brother, Uncle Roland had to protect her honour by disapproving mum’s relationship with dad! Dad also did not have parents or family members to vouch for him because he was brought up in an orphanage run by missionaries in Ipoh. With such an obscure past, uncle probably deemed him as an unsuitable candidate for marriage to his sister. From the wide collection of old photos in our albums, I saw how dad found a new family in JB when he met mum. 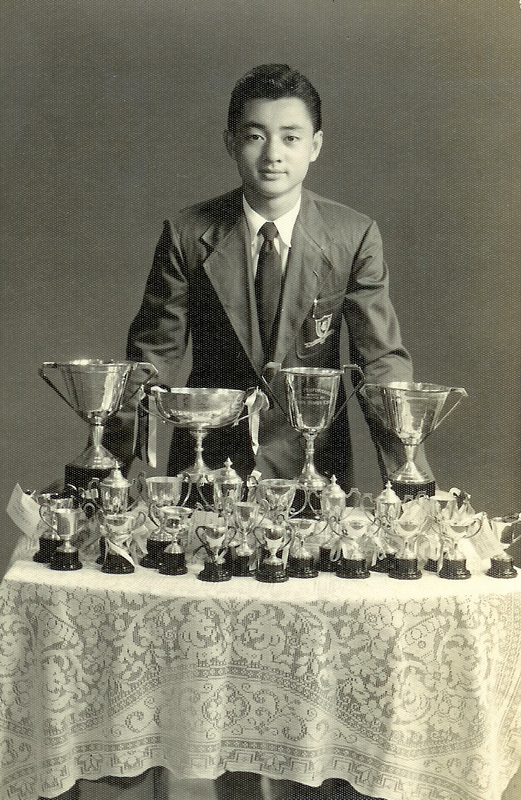 Among other things, he was in a basketball team with grandfather, our Ah Kong – a versatile sportsman who also played this sport – and went on many picnics with the extended family which included our great-grandmother! I guess uncle must have his reasons for considering dad an unworthy life-partner for his dear sister and thus made a firm resolve, not to have anything to do with them. The presence of the rest of the family at their wedding, especially mum’s parents, was a clear indication of our grandparents’ acceptance of dad as their eldest son-in-law. Dad’s closest relative whom he considers a brother, Wai Thin Fook, who grew up with him in the orphanage, was present to witness their wedding and the grand celebration with a dinner banquet was hosted on the badminton court at No. 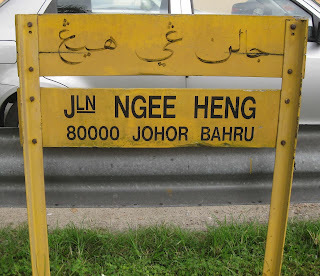 154 Jalan Ngee Heng. Mum’s reply to my query was brief because it all happened a long time ago. I just filled-in-the-blanks from anecdotes and information I gathered over the years to form a clearer picture of mum and dad’s love story and how they started a life together. Mum and dad - check out that dapper bow tie! Uncle’s hostility towards dad is a thing of the past and after their retirement, uncle and his wife, a former nursing sister, were frequent visitors in our home. They and my parents had/have so much in common to talk and reminisce about that he probably forgot about how he once thought dad was an unwelcome member of his family. From the tales I heard about uncle from his wife, I know he was quite the rascal during his bachelor days but his wit and charm finally won her heart – she who was then one of the tutors in the hospital during his training days! I recently received a message from Ivy Ngeow, a London-based girl from Johor Baru who’s also a mother, musician and award-winning writer. She not only writes in a second language, she also writes about immigrants and aims to promote culture, diversity and of course, women writers. Ivy is seeking more support in crowdfunding her Heart of Glass book project with her publisher, Unbound, an imprint of Penguin Random House. The campaign is ongoing and so far, 90 people from all over the world are backing this project, including herself. There is still time yet to support her project and every pledge promotes this non-English, non-white writer, who is writing in English. Ivy was born at Johor Baru’s Hospital Sultanah Aminah and her family lived at Jalan Ah Siang, in the Stulang Laut area. She went to primary school at the HIJ Convent JB in 1977 and her family then lived at Jalan Chengai in Melodies Garden. They moved to the Straits View area when she attended Raffles Girls School in Singapore in her secondary years but she commuted every day from JB and still remembers having to wake up at 5am to get on the bas sekolah. When she finished school, Ivy had no idea one could become a professional musician as music was her very top subject in school. In those days there was zero career guidance. Ivy did not choose writing but writing chose her. She started to write at age eight. She remembers just loving to tell stories, and that it was an urge, an instinct. She did not know then that one could write professionally either. Ivy just thought it would come one day. Her mother was a school teacher and every week she brought home books from her school library. Ivy would read all those and all the books that were already in the house. At 16, Ivy won a writing competition run by the New Straits Times and even went to Jalan Riong in Kuala Lumpur to receive the prize, which was a whole writing weekend. She does not remember what happened in detail as she was only 16 and just wanted to have fun on her first trip to KL alone! Ivy was 18 years old when she finished her A levels. She excelled at art, mathematics and music but didn't know how to marry the three subjects as she felt that she was no good at the arts or the sciences per se. But she instinctively knew that she had to do something technical and vocational. Her uncle was an architect in Melbourne, Australia and influenced her decision to go to University and study Architecture. So she went to Uni in Australia where she lived for almost eight years in Sydney and did a very long degree in architecture. She then decided to work there for a while to gain work experience. Upon her return, Ivy got a job in Singapore but was utterly miserable by the time she was 26. Even when she worked there, Ivy returned home to JB for the weekends to the closeness of her loving family. Ivy left for Europe to go Inter-railing and youth hosteling, to something like eight different countries on a budget. Eventually she settled in London, got a job straightaway and then met the man who would become her husband. 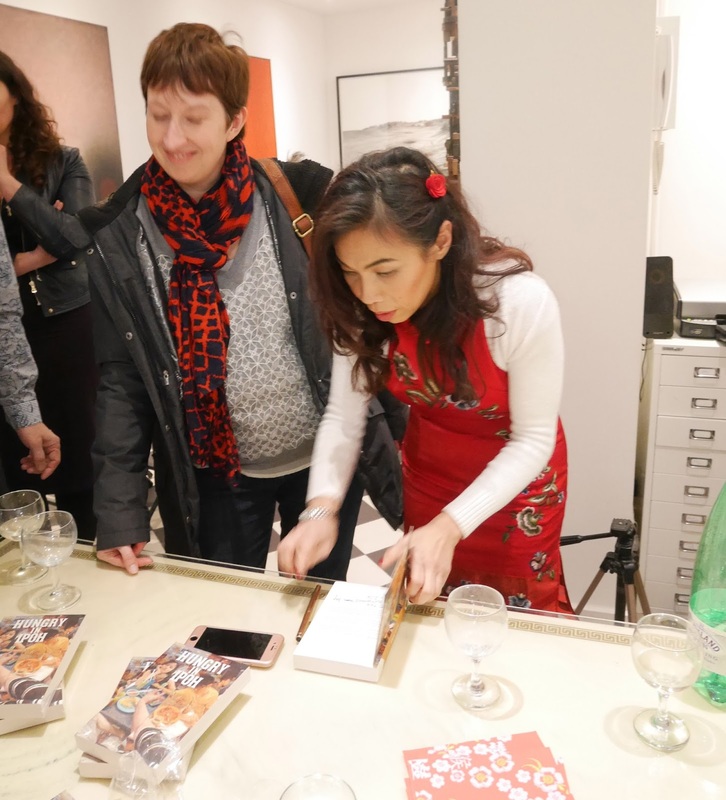 She has been in London since, except for two years around six years ago when she moved back to Penang with her husband and son, where her husband worked there while she wrote Heart of Glass. She was then pregnant with her daughter. Now her children are nine (the boy) and six (the girl). Ivy has worked in the Caribbean, Singapore, Malaysia, Sydney and London, doing architecture for 23 years. She took time off to write the novel Heart of Glass in Penang and also did a Masters of Arts in Writing (2005-06) in London before she had children. In 2005, Ivy won the Literary Prize out of almost 1500 entrants worldwide when she was at Middlesex University. This was also when she was doing music professionally and touring. Her short story Funny Mountain was published in Hungry in Ipoh, a compilation of 15 short stories, during Chinese New Year 2016 at Knight Webb Gallery in Brixton, London. Heart of Glass is a unique international story of immigration, bravery, crime, currency exchange, art, music, culture, the big city, love, murder, redemption. The story is set in the Reagan era of the 1980s in Chicago and Macau. Although Ivy lives in London now, her entire family is in JB. Her mother is Kong Dee Ha, who taught at both SIGS and SETA. Her father is Dr Ngeow Took Fah. In the early days he was in a partnership and worked at the People's Dispensary at 41 Jalan Ibrahim (which is still there!). He had his own practice for the last thirty years in Century Garden. They are both retired now. Ivy plans to do a book tour/launch back home in JB, if and when the campaign is successful and Heart of Glass comes out. The Johor Area Rehabilitation Organisation (JARO) committee, staff and volunteers kept their annual tradition of celebrating Chinese New Year with a sumptuous lunch at the New York Hotel Johor Baru recently. They were joined by well-wishers including representatives from the five Chinese dialect groups in the Johor Baru Chinese community who shared their goodwill by presenting the gift of ang pau to the Jaro staff. Jaro celebrates Chinese New Year, along with Hari Raya Aidil Fitri and Christmas, every year with its staff, who are artisans with disabilities. Founded in 1952 as a rehabilitation centre for TB patients, JARO has evolved into an established charity with a sheltered workshop where people with disability are trained and employed in the book-binding, basketry and tailoring sections. Their book-binding section continues to receive job orders not only from local customers but also from an international clientele who appreciate the fine quality of their work. “JARO has been able to train and provide employment to our disabled staff for the past 65 years through the support of generous donors and sponsors,” said JARO chairman, Datuk Jimmy Low Boon Hong. Low leads a committee of socially conscious aprofessionals to manage the charity which also has a gift shop that sells quality handicrafts. He expressed his appreciation for the well-wishers’ loyal support and generosity and also thanked the New York Hotel management for their kind sponsorship of the Chinese New Year lunch with JARO. JARO not only provides jobs and enables their staff to receive a fixed income, but through annual festive events and social outings, they have the opportunity to interact with the community. Low was pleased with the success stories where trained JARO staff were able to leave the sheltered workshop and find employment in the private sector. Besides enjoying the sumptuous buffet spread in this annual outing for JARO staff, the highlight of the event must be the presentation of ang pau from well-wishers. Also present at the event were representatives from Think City, a community-based urban regeneration body and subsidiary of Khazanah Nasional Berhad, who are working with JARO for the sheltered workshop to be upgraded to offer a better working environment to its staff and more employment opportunities to the disabled. Marlborough College Malaysia master, Robert Pick and his wife were also at the event and he shared about the college’s participation with JARO in a two-fold outreach. Besides sending some 20 students to JARO fortnightly to do volunteer work there, Marlborough College Malaysia also held fund-raising events to donate the sum of RM12,000 to JARO recently. “Part of my responsibility as master of Marlborough College is to involve our students with the needy in the local community,” said Pick, who added that their students also participated in events with schools for special children and a home for the aged. JARO is run on an annual government grant and public donations, the bulk of which goes towards staff salaries and operation costs. To make a tax-exempt donation email: jarokraf@hotmail.com or visit JARO at Jalan Sungai Chat, JB. It is open Sunday to Thursday from 8am to 5pm daily. After years of pursuing their individual culinary careers, brothers Brian and Sam Soon, recently joined forces by pooling their skills and experience to present diners with the culinary creations of two chefs instead of one at Big Bro 2. The chef brothers grew up observing how their father ran a successful bak-kut-teh business and they not only inherited his enterprising spirit but his culinary skills as well. This may explain their penchant for pork and how they use various meat cuts in their menu which is pleasing the palates of diners, many of whom are regulars from the neighbouring suburbs while some even travel from across the city to dine here. Opened in a commercial square of a city suburb, the family-friendly café has a no-frills approach reflected in its furnishings. The long wooden tables for convivial dining were created from disused wooden pallets and varnished into a smooth sheen. Rows of stainless steel mugs for your drinks! Big Bro 2 aims to revive the kopitiam concept where regulars, familiar with the routine of self-service, can help themselves to the drinks before putting the items on the bill. As diners select from canned and bottled soft drinks and beer or homebrewed herbal tea chilled in an open ice trough, I’m reminded of a bygone era of how regulars used to do likewise from our friendly, neighbourhood provision shop! In those days, a bottle-opener may be hung from a convenient spot for customers to pop open their fizzy bottled drinks and pick up a straw to sip their beverages. Brian points to rows of stainless steel mugs, hung on a rack, and shows me how diners should help themselves to ice-cubes from the freezer box and pick up straws, just like in the old days! At the back of the dining hall, menus are written on two broad chalkboards in two languages – English and Chinese – for easy reference but if you must read from a hand-held menu, just ask and the waitresses will produce the menus from their wide pockets. A glance at the menu tells me that besides the two chefs’ reputation for good food, their competitive prices must be yet another attractive reason for dining at Big Bro 2. I start with an appetizer of grilled mushrooms (RM12) but before it is served, the waitress places a small bowl of mushroom soup in front of me and says it comes complimentary with main course orders. I’m not only pleasantly surprised but very pleased with its contents and flavour as I taste thin slices of real mushrooms in every spoonful. Meanwhile I’m keeping an eagle eye on the items coming out of the kitchen and watch as other diners are served main courses ranging from Angus Ribeye (RM68), Grilled Lamb Rack (RM50) and Pork Knuckle (RM55) to Barbecued Pork Ribs (RM23) and Chicken Cordon Bleu (RM21). As for me, I fancy it’s smart to pick the Pork Combo (RM25) as it comes with a slice of pork chop, a plump sausage, bacon strips and freshly made potato mash on a bed of sautéed spinach. “Spinach is one of my favourite vegetables and we decided to use these fresh greens to complement our meat dishes,” said Brian who clearly prefers to use local produce in the menu. He also assures me that their own-made sausages in a range of flavours, are created from his own recipe which favours more meat than other ingredients. I’m comfortable with my portion of Pork Combo but smaller eaters may opt for lighter meals like Fish & Chips (RM17), Chicken Ala Picatta (RM17), Pork Chop (RM18) and pasta in Carbonara (RM15) or Aglio Olio (RM13) sauces. The chef brothers often introduce new items as specials and I’m happy to sample Brian’s favourite duck dish, crispy Ubud-style Babek (duck) served with a side of perfectly steamed ladies fingers and spicy sambal terasi dip. As I chew into the crispy bits, boldly crunching bone along with meat, he tells me the serving is only half a duck and it’s so new that he has yet to price this item and place it on the menu! I like to end my tasty meal sweetly and Brian offers dessert choices like his signature Chocolate Lava (RM6) and Crème Brulee (RM6), topped by pretty marshmallows and dusted with sprinkles of icing sugar. I lick my lips at the end of the meal and consider how their fair prices for the reasonable portions of delectable meals must be drawing diners back again and again. “Wow! You’ve come a full circle! Nice to see a well, handwritten note – almost a novelty in this day and age of laser printers,” said cousin Malcolm in response to the photo of the welcome note that DoubleTree by Hilton Johor Baru general manager wrote me. In the 1960s, cousins Malcolm and Philip, along with my siblings and I were the school-going grandchildren who lived with our grandparents at No. 154 Jalan Ngee Heng. Some two years ago, I was a pre-opening guest with DoubleTree by Hilton JB to provide the hotel with constructive feedback on its facilities before its doors were opened to guests on 1 July 2014. I told general manager Simon McGrath, about how I’m familiar with Jalan Ngee Heng because I lived in our grandfather’s house that used to be just across the road from the hotel. Then I wrote about my stay experience, published as Returnto Jalan Ngee Heng, including how I was to give feedback in forms provided because the hotel is committed to their hospitality brand and takes a serious view about maintaining their food quality, facilities and service standards. Besides showing Malcolm, who’s now based in Sydney, the handwritten note from McGrath, I also shared a photo which I took from the Executive Lounge on the hotel’s 29th floor. When I went to the Lounge for breakfast, it was uncanny that I was shown to a table by the window. And when I looked out of the glass panel, the view directly below was the site of our grandfather’s former house! The bungalow was demolished in 1977 to build the highway. Only the adjacent prewar row of double-storey shophouses remain, which once housed family-run Chinese provision shops, Indian laundries or dhoby, a coffee-shop, a tinsmith and a coffin shop. The upper floors were living quarters and I remember Indian, Chinese and Punjabi families who lived here. From 29 floors above, all I could see was a triangle patch of grass on the left, widening to green fronds of a tree growing next to an advertising pylon. The leafy tree and billboard obscured my view but I know part of the driveway into our former house is all that remains and an enterprising warung operator has set up business there. Using the driveway as a point of reference, I can visualise the badminton court to its left and beyond that was our double-storey bungalow, built in bricks on the ground floor with a wooden staircase and upper floor. By a rough estimate, the size of the badminton court, bungalow and peripheral land would span across more than two lanes of the Jalan Tun Abdul Razak dual carriageway! When I talk about our grandfather or Ah Kong’s house at No. 154 Jalan Ngee Heng, people may listen with interest but I guess they cannot visualize it. After I read McGrath’s message and saw its former site from the hotel’s 29th floor, I was determined to find an old photo of that home of many childhood memories. I did better than that. I found a shot of the bungalow while it was being renovated with a view of that prewar row of shophouses at Jalan Ngee Heng! squeezed together under the water tank! This was a major renovation where the kitchen was extended and extra bathrooms and toilets were built with modern sewage systems. Grandfather decided to keep its roof flat so that we could play and relax on the open platform just outside our room window. At that time, a motor workshop occupied the land behind while Tropical Inn hotel – later built on the site beyond the row of shops – did not exist yet. During the renovation, the bamboo hedge around the bungalow was damaged but it soon grew back to its usual height to keep out crosswinds from interfering with the badminton training matches which happened on the court almost every evening. The view of the badminton court from outside was obstructed by the bamboo hedge but it did not stop passers-by from trying to peek in to watch the games. They would crane their necks, watching from our closed gates and through the open window of the provision shop next door. 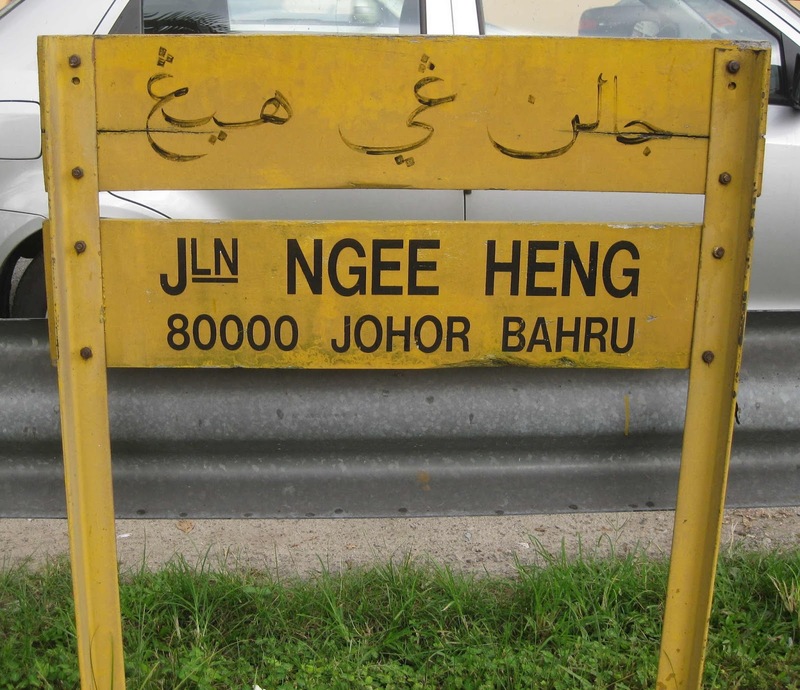 Before the highway was constructed, Jalan Ngee Heng was a main thoroughfare for cars, bikes and buses. It was so busy that Ah Kong instructed my younger cousins, who studied in St Joseph’s School, to never cross the road unescorted by him. On schooldays, Ah Kong would take the boys across the road for them to walk to school through its back gates. The drill for them on their return, was to reach the opposite side of the road facing our gates and shout, “Ah Kong!” Then grandfather, who was looking out for them, would bring them safely across the road. Ah Kong’s house was bordered by roads with Jalan Ngee Heng being the regular route for mobile hawkers to pass by, sounding their signature calls as they headed down to Jalan Ungku Puan, the site of pasak- kia, our first Chinese food court, where they sold their food. As soon as we recognised their distinctive calls from afar, aunty Polly – a fan of street food – would get the children (us), whoever nearest the upstairs windows, to yell and stop the hawker so that she could buy takeaway noodles or beancurd, taufoo-fah snacks. Familiar with this routine, the hawkers would safely park their push carts for us to bring our own containers – an eco-friendly practice – to buy takeaways! Jalan Ngee Heng is now changed beyond what we are familiar with and reduced to a short road with modern buildings opposite the pre-war row of shops. But it’s good to be reminded that there once was a No. 154 here.